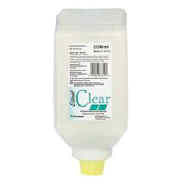 Perfect for areas where germ transfer is a consideration, this hand cleaner contains Triclosan, which is proven effective at killing a wide range of germs. And it's fragrance-free and dye-free. 2000 mL refill. 6/Case.